Prior to 1979, Seri Gombak was still a vast tract of plantation land. Over many years of meticulous planning and development, this 523-acre freehold land is now a much sought-after residential suburb. The strong appeal of Seri Gombak bears testimony to the competence of the Company in developing properties that meet customer demands and market needs. 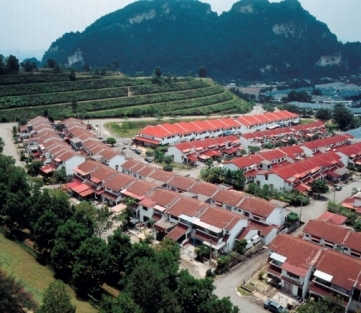 Each phase of development was carefully constructed to blend harmoniously with the natural terrain and land contours. Lush natural greenery was retained to create a green and breezy environment. A breathtaking view of the KL skyline and an excellent network of highways providing multiple-access to various parts of Kuala Lumpur and Selangor further add to its strong appeal. This sprawling self-contained township comprises a balanced mix of 7,300 residential and commercial units : double-storey linked houses, semi-detached houses, bungalows, high-rise apartments, shop-offices, schools, parks, playgrounds and a host of other facilities and amenities.